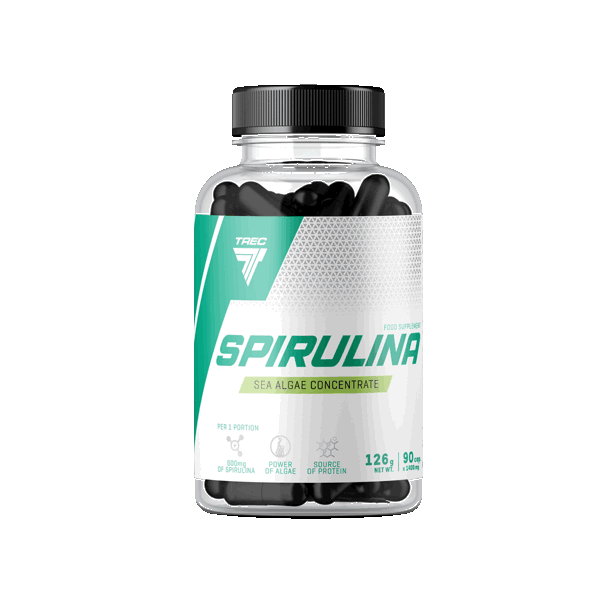 SPIRULINA contains blue-green marine algae Spirulina Pacifica. Take a single serving of the product ‒ 2 capsules with 300 ml of water. Take 3 times daily, preferably immediately after a meal. INGREDIENTS: soy oil; spirulina (Spirulina pacifica) (30%); capsule shell (gelatine; stabilizer – glycerol); stabilizer – bee wax yellow; emulsifier – lecithins.